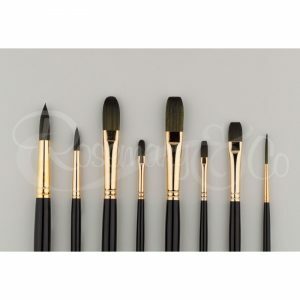 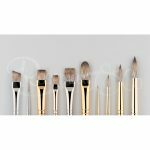 This brush set is ideal for Oil and Acrylics and a great way to try out the Evergreen brushes. 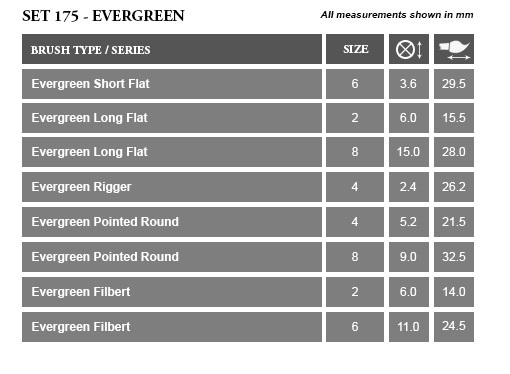 The Evergreen range is a welcome addition to Rosemary’s synthetic brushes. 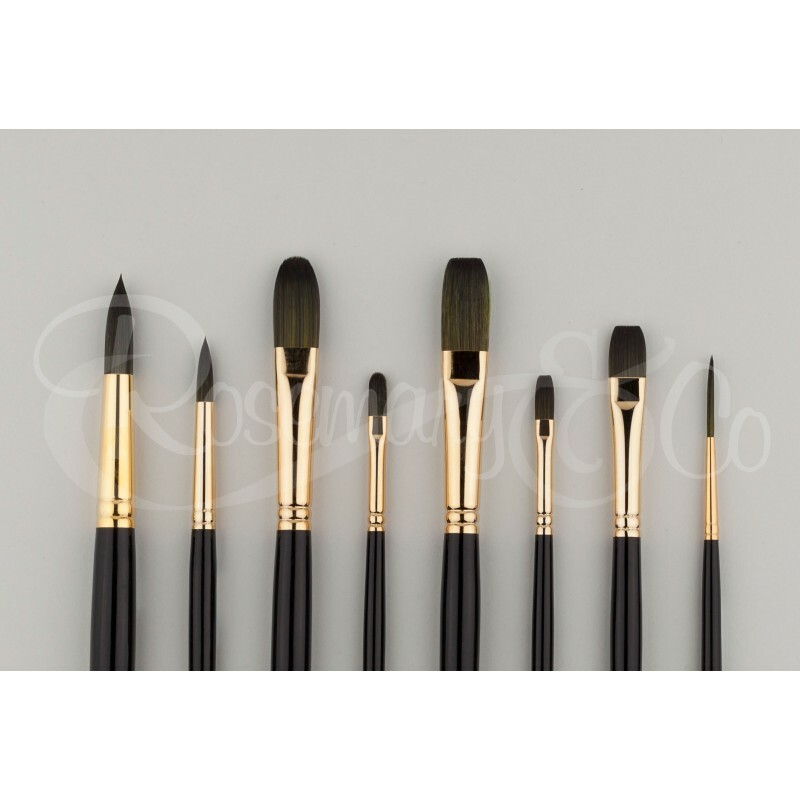 The Evergreen range is composed of 100% synthetic fibers which give the brushes spring and snap. 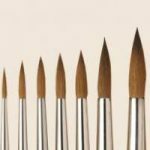 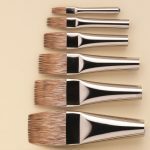 The Evergreen brushes make precise brush marks, with the short flats giving a sharp edge and the pointed rounds keeping a tight point. 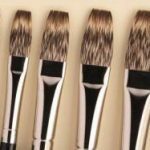 The hair is a little softer than the Ivory range, yet cleans as well, lasts as long and will withstand the abuse of Acrylic and Oil paints alike.